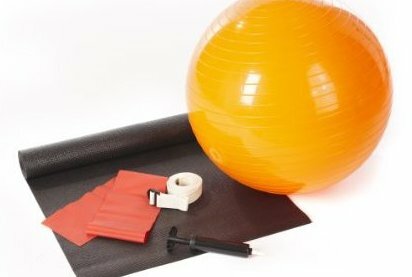 1x 26-inch gym ball. 1x 8-inch hand pump. 1x Yoga mat (0.14 x 24 x 68 inch) 1x Yoga strap. 1x Latex band.